Source: Computerized Managment Of Vehicles, Inc.
CMoV announced that ProLog-Scan, the premier driver's log scanning, auditing and reporting software, has now released the imaging module. This allows ProLog-Scan to retain and recall for display or printing purposes any of the drivers logs that have been processed through the system. 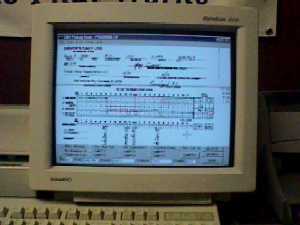 ProLog-Scan is designed to reduce the labor involved in processing the truck drivers logs. This includes finding the violations involved either with DOT Regulations and with any company defined violations. Computerized Managment Of Vehicles, Inc., 100 S. Marion Rd., Sioux Falls, SD 57107. Tel: 605-338-6645; Fax: 605-338-6645. Computerized Managment Of Vehicles, Inc.